We welcome you to the untrodden world of Uncut Diamonds inspired by the rich heritage of India with a touch of modern taste. 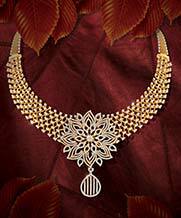 A diamond which is as fresh & natural as your style designed only at Joyalukkas. 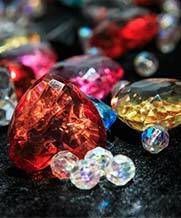 As a matter of fact, uncut diamonds are difficult to frame into a jewel. Uncut Diamonds require a very skilled and careful artisanship because the jewellery has to be designed keeping the shape and size of the stone. But once it’s done, it surely makes heads turn. Unleash the diva in you and embrace the new trend of uncut diamonds. So it’s time to bid adieu to your fear and flaunt your natural effortless style. 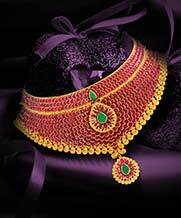 Joyalukkas jewellery collection of Uncut Diamond Necklace sets are the right way to pamper your feminine sentiments. 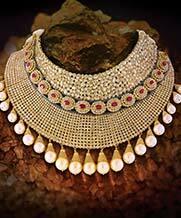 The stones are handpicked and carefully placed to make those looking at the necklace set awestruck. 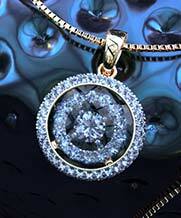 Every necklace set in this amazing never ending collection is a masterpiece created by skilled craftsmanship. 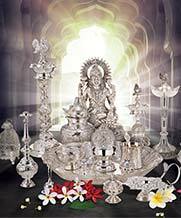 The purity is unmatched and designs are exclusive and enormous. 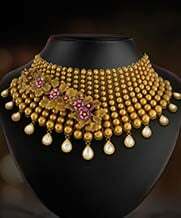 It includes band gala necklace sets, maharani necklace sets, chokers, matinee and many more. 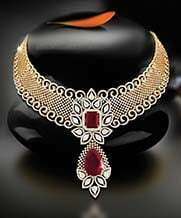 The collection includes heavy dazzling necklace sets as well as subtle classy ones. It has a perfect piece for all occasions, be it a wedding, birthday party, casual event or an office get-together. 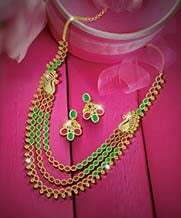 These necklace sets take you to all new level of exquisite feminism. 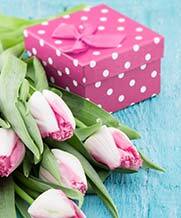 Grace yourself with what you deserve and pick the one that suits your persona. Not just you, these necklace sets are a perfect present for your precious ones. They make an accurate gift for weddings and heritage gift to the next generation. Something you will be remembered for till eternity. Why to worry when you can have it handy? Let not trouble to enter your soul. 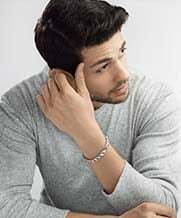 Shop for your favourite jewellery from the comfort of your home. Or make the most of your time shopping while traveling. Explore quintessential designs at Joyalukkas and treat your eyes with the dazzling collection of uncut diamond necklace sets.